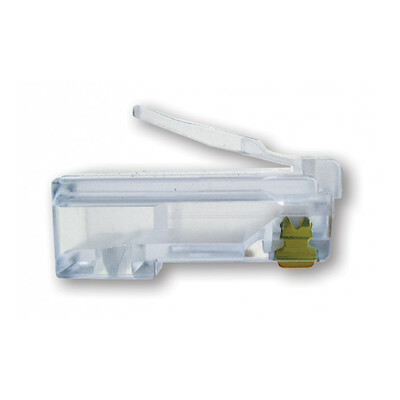 The Platinum Tools EZ-RJ45 cat6 crimp connectors are a great easy way to make your crimps are tight and accurate. The individual wires go all the way through this connector head and allow you to make sure everything is lined up before you crimp down. Specifically made to work with crimp tool 100054C or the EXO crimp tool frame with the EZ-RJ45 die part number 100072C.